1. When an option holder enters an exercise through their portfolio, the designated option approver receives an email regarding the pending approval (bank transactions do not begin until the exercise is approved). 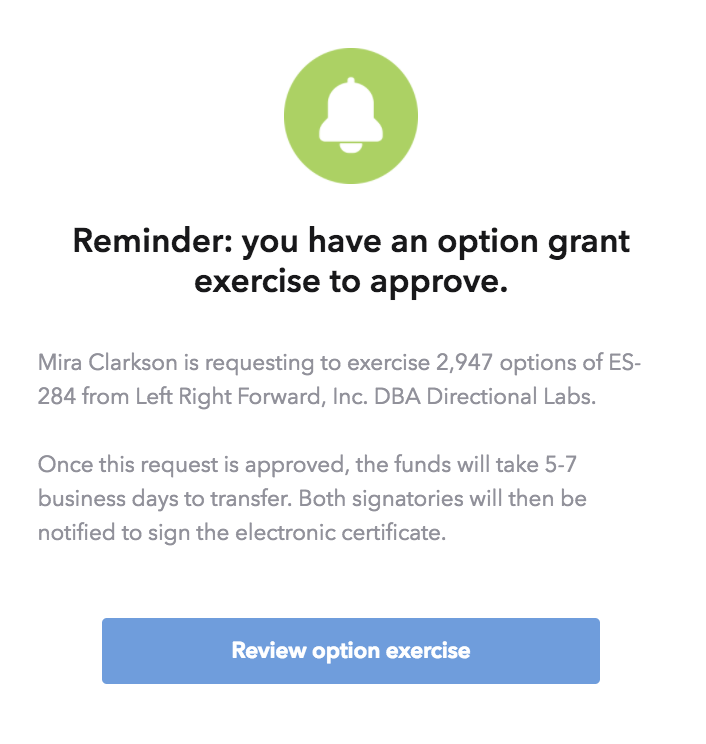 By default, exercise approvals are sent to the option signatory if no approver has been selected. 2. Once logged in, the exercise approver will have a task to review the option exercise(s). 3A. For NSO exercises: You can edit the tax withholdings as needed. 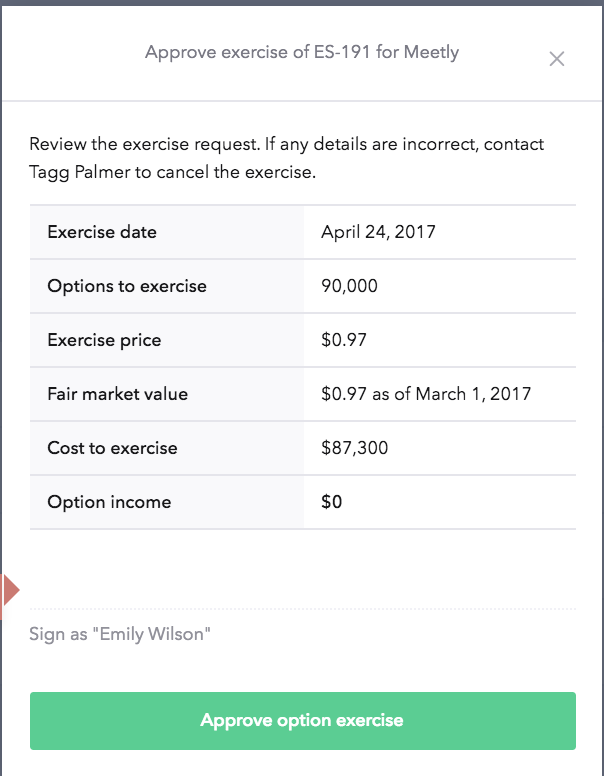 Once the FMV and tax withholdings have been verified, click 'Approve option exercise' and sign the confirmation of exercise. NOTE: If there are no gain on exercise, NSO tax withholdings will not occur. The amount shown is the maximum amount allowed by the federal and state laws. You can adjust them lower according to option holder's liability, if needed. In addition, the withholding amount is not remitted to IRS by Carta. After Carta collects the withholding amount and deposits it with the total exercise amount into the company's bank account, the company is responsible for remitting the taxes to IRS. 4. Once signed, the bank transaction will begin and pending ACH approval by the holder's bank, the exercise will be processed. Following the fund's transfer, company officers will receive notification to review and sign the associated stock certificate that the platform will automatically generate. The transfer of funds process takes 5-7 business days.